The customer came to us with a complicated request. 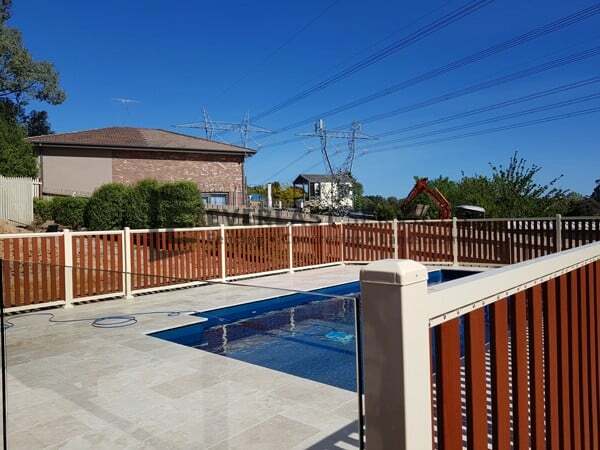 They wanted a pool fencing solution that would look good, keep their family safe, be cost-effective and durable, while also being low-maintenance. They loved the look of wood but were put off by the maintenance and cost of hardwood. Luckily, we had the perfect material for their needs. 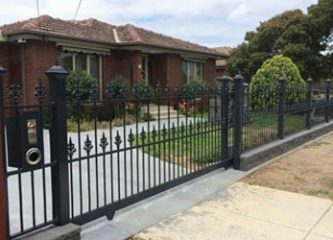 We are experts in aluminium slat fencing. We manufacture the slats at our factory in Hopper’s Crossing, and we know that they’ll last forever. Our powder coating also looks exactly like high-quality hardwood, except all the owners will need to do is brush and hose it down to keep it looking perfect. The owners wanted a clear view of the pool from their home, so we added a glass panel to the section that was facing the house. Our frameless system means the owners get an unobstructed view of their pool. 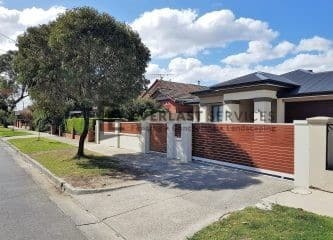 The beauty of this combination of fencing materials is that it is relatively low-cost, especially compared to hardwood. The clients were amazed by the quote, and because we manufacture the frames and slats in-house, we can cut out a lot of middleman costs. 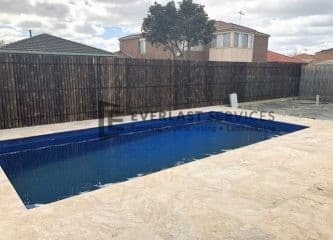 The most important aspect of any pool fence installation is ensuring that the finished product is in line with regulations and Australian Standards. We have been in the fencing industry for over 20-years, and everyone from the fabricators to the installation team knows these regulations off by heart. The finished product was everything the client could have hoped for. It looks absolutely stunning; the glass section connects the pool to the house, and the rich wood powder coating contrasts perfectly with the blue pool finish. We were able to create a fencing solution that was safe and secure, without obscuring the pool. We also managed to keep the entire project on budget, which was far less than the client was expecting to pay. We couldn’t be prouder of our team and their efforts. From design to installation, everyone pulled together to uphold the Everlast Services promise for a quality service delivered with absolute care for the client.